Exchange year in Brazil. 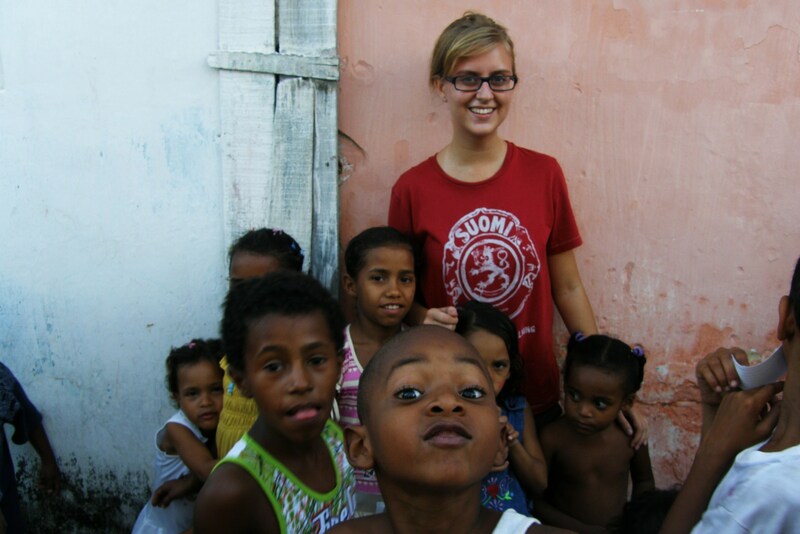 She is now attending her second year at McGill University, and sends us her story. I spent the school year of 2008-2009 in Recife, Brazil. Population 5 million, located on the Northeastern coast of the country. When I first arrived in Brazil, I was completely overwhelmed by the affront of a new language, new family, new city to live in. 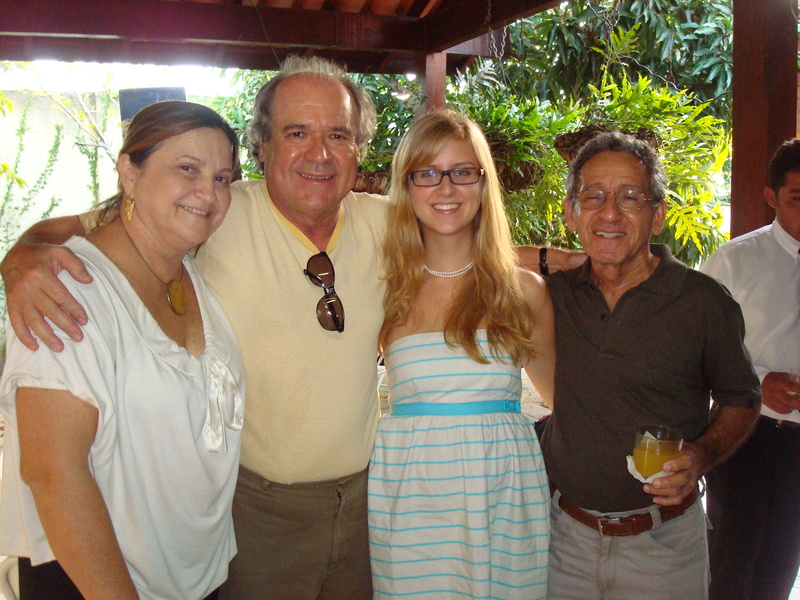 My host family and Brazilians in general were very welcoming, and I learned about their culture slowly. In the beginning, I felt like an outsider looking in, seeing how they behave with each other, experimenting with new foods, and trying to make new friends without much Portuguese ability. As the months progressed, I started to grow accustomed to the way things were there, and having a maid was pretty easy to get used to! I started school, a college similar to NAIT, of 6000 students. I was the only blonde person there, and with one other American girl, we were the first two exchange students the school had ever taken. There, I took a technical course on Tourism. I was able to make a handful of new friends there, but the fact that there was another exchange student in my class meant we were always lumped together as the English-speaking girls. In late October, I was able to take a Rotary-organized trip to the wetlands in Southern Brazil, called the Pantanal. There, I met about 50 other exchange students from across the country. It was such a relief to be able to talk with them about the peculiarities of our host families, the troubles of learning a new language, and homesickness for our respective countries. December was a low point of my exchange. 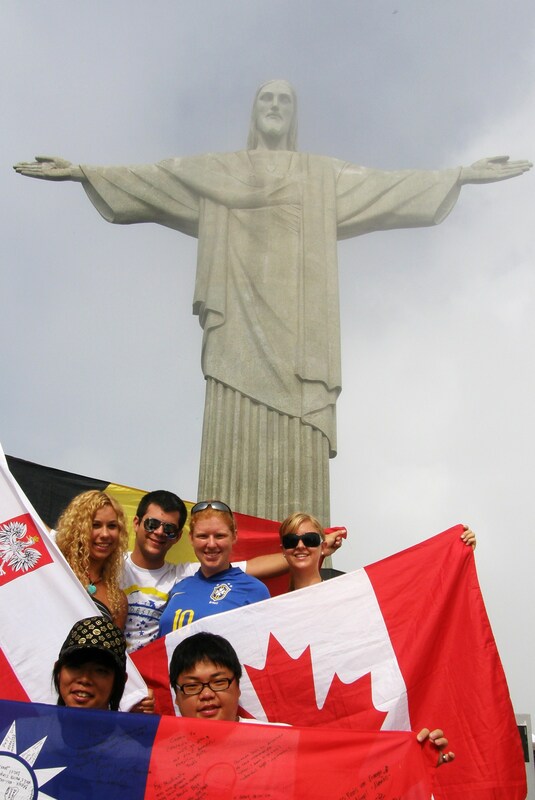 Finally, it hit me that I had another seven months in Brazil and I still felt like a foreigner. It was my first Christmas spent away from my family, and I felt quite homesick. I was able to pull myself out of it by writing things down and making goals for the rest of my exchange: I had to make things happen for myself. I wanted to get to know my Rotary club well, volunteer, achieve fluency in Portuguese and make some lasting friendships. In the remaining months of my exchange, I decided to switch classes to be without the other exchange student. That way, I was forced to socialize more, speak more Portuguese, and pay attention in class. Getting out of my comfort zone wasn’t the easy path to take, but I was starting to see how beneficial it could be. In regards to my Rotary club, I got in contact with my counselor and attended meetings more frequently. During our exchange we’re encouraged to make a presentation about our countries to our host Rotary club. Since I arrived in August I was pestering my club president trying to get an opening. Finally one day in March I told him that I was presenting next week, and had okayed it with another Rotarian. It was, perhaps, a white lie; but I was able to present the next week without any further problems. After my presentation the Rotary club really opened itself up to me. My club of sleepy grandparents suddenly knew how to have fun! 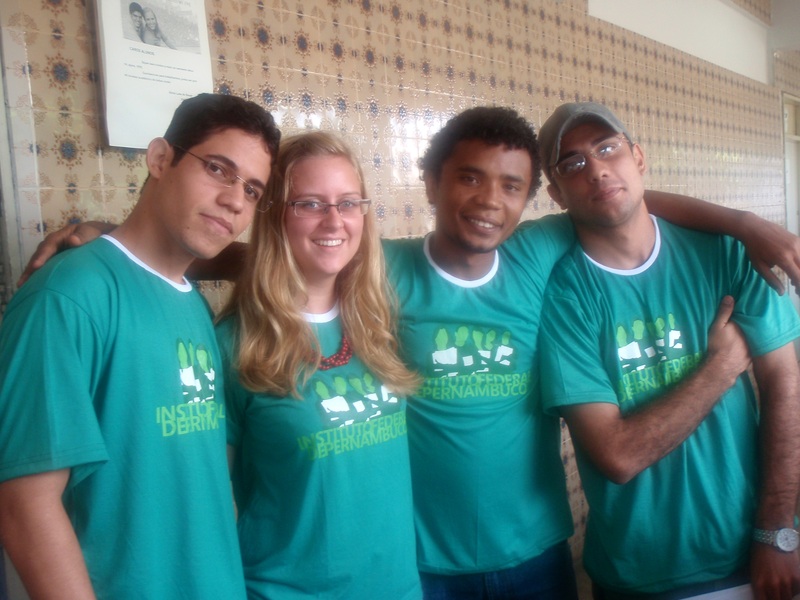 small program of adults volunteering in the favelas, or slums, of Recife. There are all manner of these slums tucked away under bridges, on slopes by rivers, everywhere shady or overlooked cropped up little shanty towns of people living the worst conditions. Crime, violence, malnutrition were rampant. The children though, just like children everywhere; were happy to have someone to read to them (or to correct my accent). I let them paint my face or played the national pastime, soccer, with them. I saw the awful conditions they were living in and later helped out my counselor at his free medical clinic for the underprivileged. During my year, I learned how to be a Brazilian, I learned that I can’t be too proud or shy to ask for help in any situation, and importantly, that I have to make opportunities happen for myself. Now I’m at university at McGill in Montreal, and I’m applying my new life skills in my studies, making friends, and volunteering with my Rotary club. Portuguese might not be too useful here, but what I have learned about myself I can take with me anywhere. All of this I owe to my sponsor Rotary club of Grande Prairie Swan City. They are generous and courageous enough to send a nervous teenager halfway across the world every year. In return I hope to be able to make them proud; to use what I’ve learned for the betterment of the world around me.